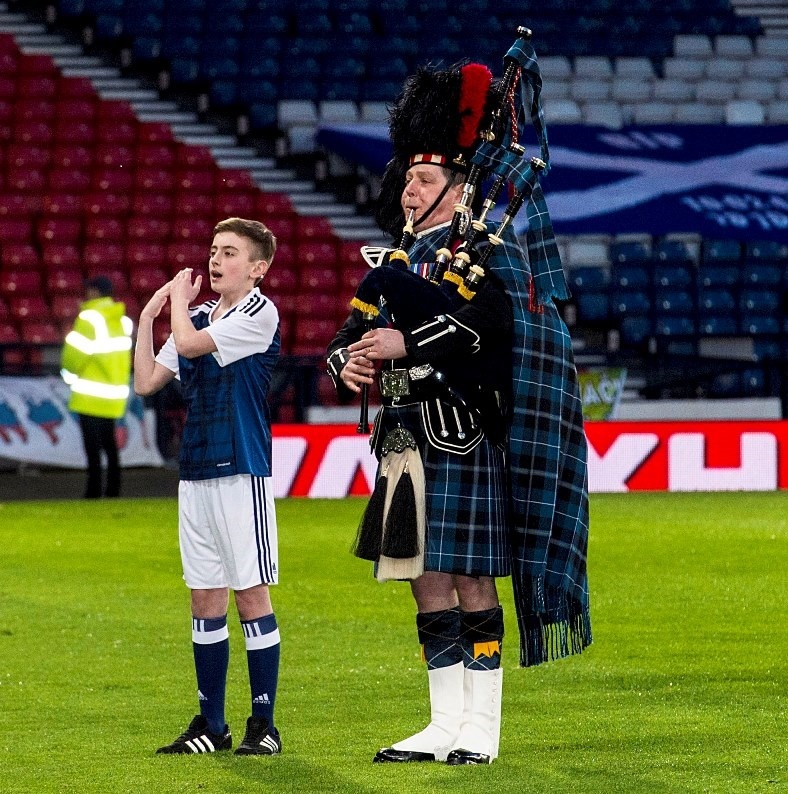 Lauchlan Connelly (13) from Prestwick Academy was on the pitch at Hampden for Scotland’s World Cup qualifier against Slovenia recently but he was not a mascot, or even a ballboy, Lauchlan was making history becoming the first ever person to sign the national anthem at a Scotland International football match. 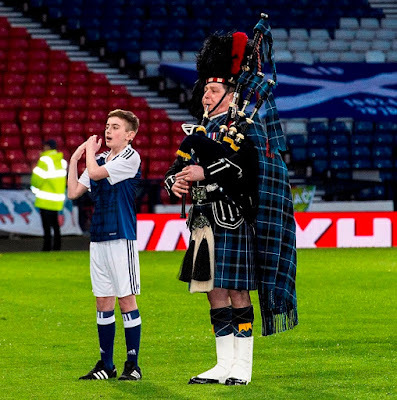 It was a memorable night for Lauchlan (pictured above), who signed his way perfectly through “Flower of Scotland” despite being in front of thousands of fans and live on TV! Lauchlan first learned sign language at primary school and although he has no problem speaking, he wanted to make sure he could communicate with other deaf people. Lauchlan could well become Scotland’s lucky talisman! He has been asked to sign the national anthem at the next 3 home games against England, Malta and Slovakia in October.